Comprehensive Financial Plan - a thorough analysis of all aspects of your personal financial life, including a personal net worth statement, financial goals, investment portfolio review, tax planning, cash flow, insurance and estate planning review. Plans are priced according to complexity - typically $1,500 to $5,000. Project Based Planning - limited-scope answers to specific financial questions. Planning is provided at a rate of $250 per hour. 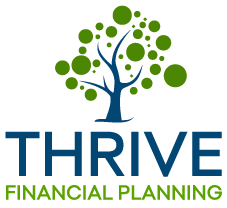 Ongoing Financial Planning - initial preparation of a basic financial plan, including a personal net worth statement, financial goals, investment portfolio review, tax planning and cash flow review. Ongoing access to this web-based plan and advice as needed to answer questions as your financial life evolves. Planning is priced according to complexity - typically $150 to $350 per month.